Jang Wook Kim, DDS - Luis Kim, DDS Los Angeles Dentist Meet Dr. Jang Wook Kim, D.D.S. 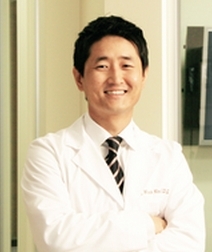 Dr. Jang Wook Kim, D.D.S. Originally from South Korea, Dr. Jang Wook Kim went to high school in Glendale, California and attended UC Santa Barbara and UCLA for his undergraduate studies, majoring in MCDB (molecular, cell, and developmental biology). He received his DDS degree from UC San Francisco in 2002 and has been practicing dentistry in Miracle Mile since 2008. Dr. Kim strongly believes in preventive and conservative approach to dentistry and recognizes the importance of communication with his patients to keep them informed. In his free time, Dr. Kim likes to travel, hoping to experience the world as much as possible. His recent destinations include Tibet, India, and Brazil. He also is a big fan of sports, following baseball, basketball, football, and soccer regularly. He also tries to stay in shape by playing basketball and working out at gym. Dr. Kim is currently a member of American Dental Association, California Dental Association, and Los Angeles Dental Society.